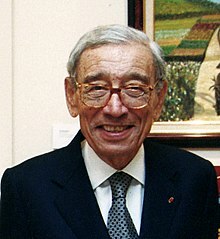 Boutros Boutros-Ghali (Arabic: بطرس بطرس غالي, Coptic: Bουτρος Βουτρος-Γαλι; 14 November 1922 – 16 Februar 2016) wis an Egyptian diplomat who wis the saxt Secretary-General o the Unitit Naitions (UN) frae Januar 1992 tae December 1996. An academic an umwhile Foreign Meenister o Egyp, Boutros Boutros-Ghali owersaw the UN at a time when it peyed attention tae several warld crises, includin the breakup o Yugoslavie an the Rwandan Genocide. This page wis last eeditit on 20 Dizember 2018, at 01:05.